KJ, I mainly noticed it in my neighborhood. When going under 30 around my Jag seemed to move more with each bump or change in the road. At 40+ I didn't notice a difference. The car was smooth with either shock. Honestly, it's very subtle and the first day I thought there was a difference but after driving it for a couple of days I can say for sure it's a smoother ride. Enough to pay 3 times as much for the struts? I guess that's a personal thing for people but for me it was worth it because my wife drives it and all she cares about is a good ride. Interesting. I'll have to pay attention to this in the spring, when I can take the car out again. Maybe my take on the 'move more with each bump or change in the road' was that the shocks were softer and thus allowed more movement. First is how certain are you that you have 2nd gen shocks (or robbing for that matter)? Receipts can say anything. 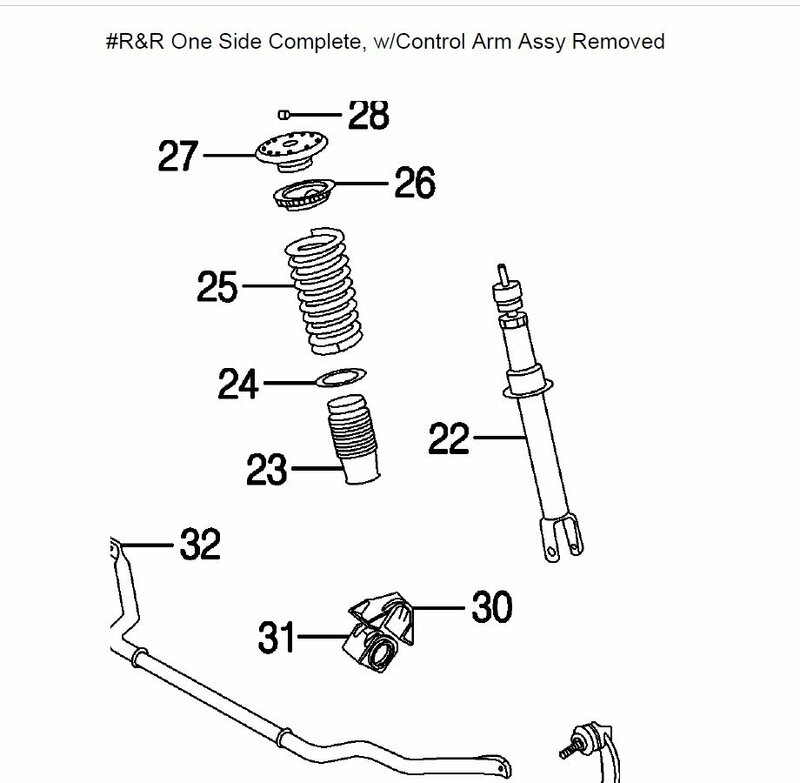 Jaguars 2010 service manual states: CAUTION: The dampers look identical to those on the CATS (computer active technology suspension) system of 4.2L vehicles, but have a different part number. Resistance across the solenoid pins of an adaptive dynamics damper should be 2 to 3.5 ohms; if more than 5 ohms, you should suspect that the damper is from a CATS system. Check the resistance of your shocks to validate which generation you have. I had specifically asked the seller if he had any '07-'09 shocks, and he said no, but that he could get them for a higher price. And I'm pretty sure that I checked the part numbers on the shocks before I installed them, but I didn't take any pictures , to be sure. If I get a chance, I'll check the resistance on them on Friday night. Oh my! Or should I say "good grief"? However, that is "shocking"......I'll follow you out. I have a small problem. There is a knocking sound from the suspension. I think it's probably the top bolt of the strut. On the first set I put on I had no problems getting it torqued down. But these, I just can't get them tight enough to then torque. I'm using an allen wrench but I feel like I'm going to break something I'm having to turn it so hard. Is this normal? Oreillys ordered me a special tool for it but it ended up being a 15 and that nut is a 17. Besides I don't think it does anything different than what I'm doing now. Is there supposed to be a washer in between the nut and the top of the strut housing? 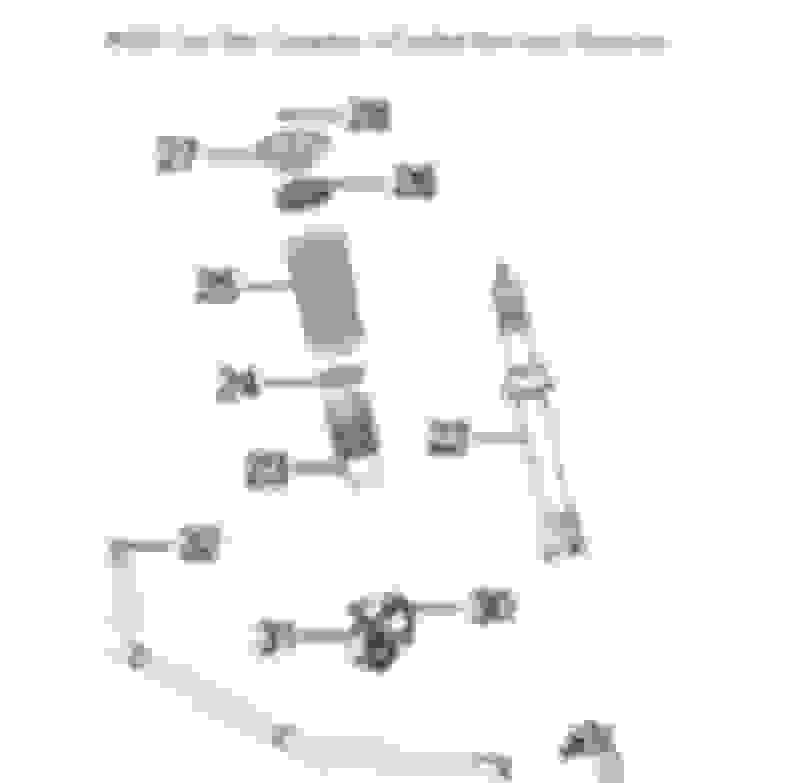 There is a pic of the shock compressed in the service manual that shows a nut and washer on the top of the strut. Note: The parts list makes no distinction (image wise) between standard or adaptive, other that the shocks part numbers. I remember a washer, just not its position on the shaft. I’ll have a look in the morning. Last edited by steve_k_xk; 02-03-2019 at 02:31 PM. So let me ask another question. 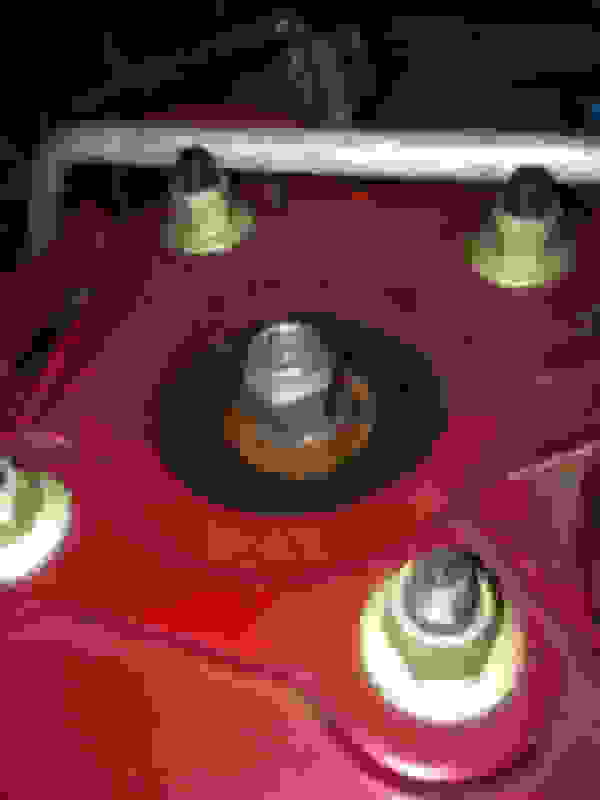 Will the top nut eventually get tight enough that the rod stops spinning and I can torque it down? I'm putting some serious pressure on the wrench when I turn it and can barely keep the allen key from turning(have an extension on it) And all of that is to get it to barely move. I probably used the 17mm head from the ‘TEKTON 2580’ set that I have, on my torque wrench, to be able to torque the nut, while holding the shaft with a separate socket wrench that used an allen tip. Just google ‘tekton 2580’ to see what I’m talking about, couldn’t get a link to it on my phone (kept going off to the amazon app). Don’t think there’s a washer on top, think that is a flange on the nut you see in the photo. I unplugged the connector on top so I could measure the resistance across the pins. So to answer CleverName’s question, I got 2.4 ohms, so it’s definitely a shock for the newer cars. So the Jag is riding smooth and no Cat error but I have a clunking sound and it's driving me crazy. I didn't change out the strut cap and I'm wondering if it could be that. The only thing is I had no clunking sound when I first changed everything out with the 10 struts. I torqued everything down to spec so I don't know what to look at. Is the clonking sound from one side, when hitting bumps, etc? Typically, a very common culprit is the drop link even if they feel like there is no play. Worn ARB bushes are also a suspect you might want to check. Both are cheap. Is the drop link the stabilizer link? If so, I installed a new one. Not sure what ARB is? I think it's Anti Roll Bar or stabilizer bar. If so, I didn't change those bushings out. I don't think it's those though and here is why. I initially put on shocks made for the 2010 XK. Everything was great but as pointed out earlier in this thread it was in default and I wasn't getting the smoothest ride. There wasn't however any clunking what so ever. Then I went back and put on shocks made for the 2007 with active damping. That's when I started having the clunking sound. I didn't put on new spring mount and insulator so I'm wondering if it could be that but if it's that why did it change all of the sudden. The one thing I go back to is when I put the 2010 shocks on I actually torqued them down after I put them on the Jag and sat it down on it's wheels. They actually torqued down for me without spinning or me using an allen key in the middle. To answer your other question, yes it's just coming from one side or the other and it's when I hit bumps. It also only seems to happen at speeds under 35. After that I don't hear the clunking. Anyone know if that top mounting plate is the same as the Stype or XF? I have part number C2P23038 for my XK and it looks the exact same as this. Curious as to why you would suspect this? Can’t see how it could move to cause a ‘clunk’. The underside has a crap load of spring pressure, and the top side is bolted to the body (provided you actually tightened those nuts ).